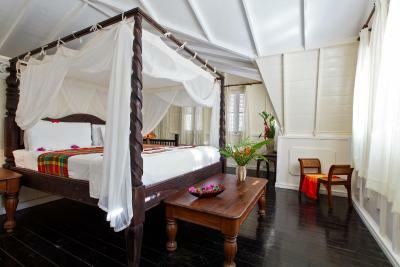 Lock in a great price for Fond Doux Plantation & Resort – rated 8.7 by recent guests! Staff went above and beyond to make the experience enjoyable. Booked all tours through them and they went perfectly fine. Definitely an oasis in the middle of the jungle. 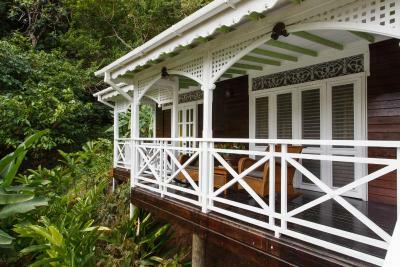 Spend the night in a little bungalow in an eco-resort in the rain forest. It's not just a place to stay, but a life experience. Staff is amazing. Food very good. They don’t know the word “no”. We scuba dive- very good. We like PVG best. 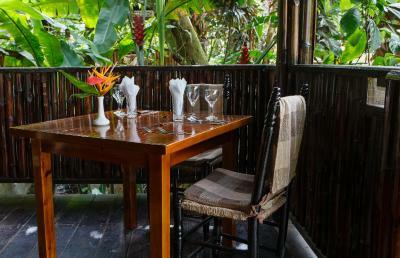 Our cottage is very privately located in a lush tropical rain forest. How it feels like you are in an atmosphere away from the hustle and bustle of life. Very relaxing and fun. I enjoyed everything especially the local cocoa tea. 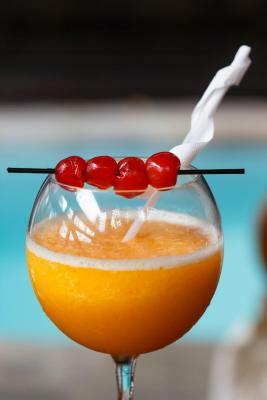 Beautiful plantation with lots of different fruits to try, delicious food for all three meals, relaxing pool area. Our cabin was very private and comfortable, we especially liked the hammock on the porch for relaxing and reading. 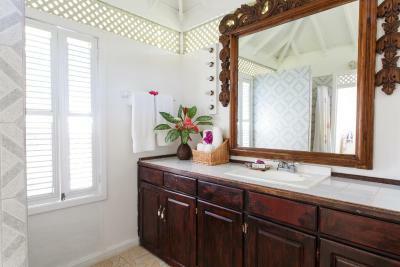 Our cottage was clean and maintained at all times. I totally enjoyed my stay here . Staff was very friendly and assisted when needed . Special thanks to the waitresses at the restaurant . Special tnx to Kerdell, Antonio , Krista and other staff . Shyne our tour guide execeptional and knowledgeable. Had the pleasure to meet the owners , really friendly. 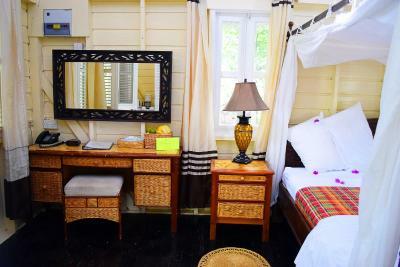 Nature lovers would totally appreciate the scenery and serenity and all that Fond Doux has to offer . The bed was so comfortable..the environment and the staffs are so amazing. wifi was good too. I had a nice stay. 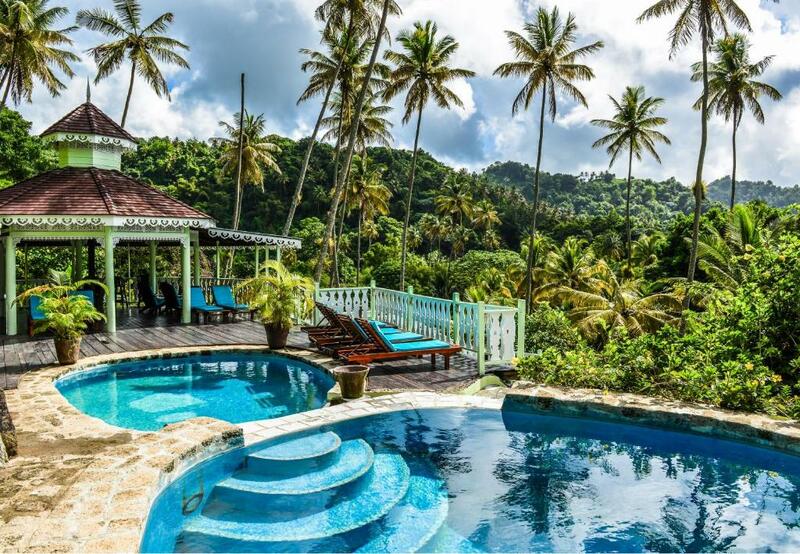 Fond Doux Plantation & Resort This rating is a reflection of how the property compares to the industry standard when it comes to price, facilities and services available. It's based on a self-evaluation by the property. Use this rating to help choose your stay! 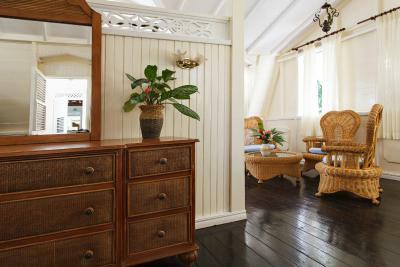 One of our top picks in Soufrière.This French colonial estate house in Soufriere, St Lucia, is located on a fully operating, 135-acre cocoa plantation. 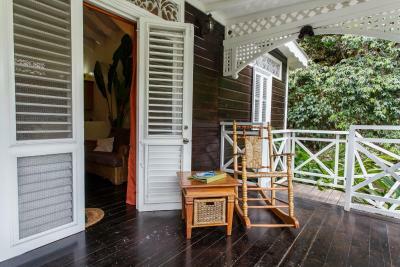 Surrounded by tropical gardens, this 19th century plantation is a World Heritage site. 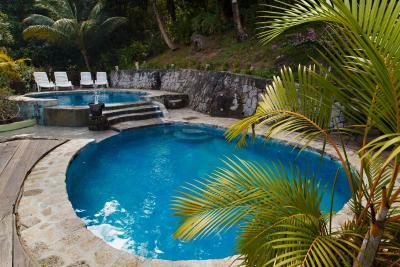 Fond Doux Plantation & Resort features 3 tiered, outdoor pools with water falls and a gazebo. 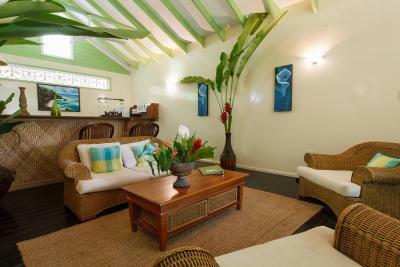 Mama La Terre Spa offers massage services and other therapeutic body treatments. 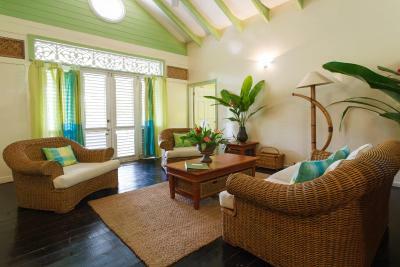 Each cottage features unique architecture, hardwood floors and tropical colors. They are equipped with ceiling fans, a fridge and coffee maker. 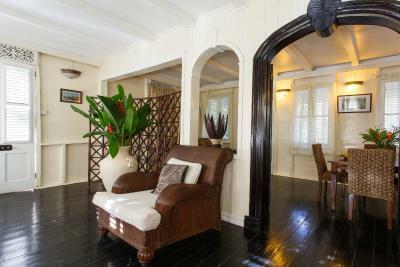 A private patio or balcony overlooking the gardens is offered. 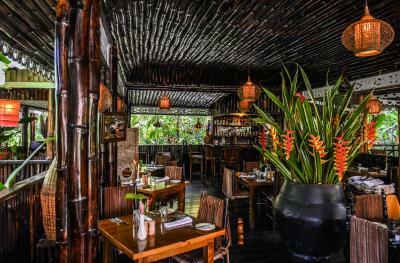 The Cocoa Pod and Jardin Cacao restaurants both serve Caribbean and international cuisine. 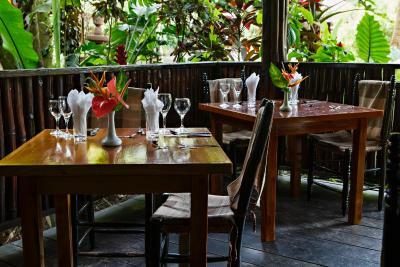 Open all day, the restaurants are located among the lush vegetation where guests can also enjoy the tropical breeze. 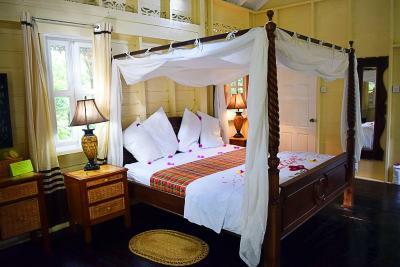 When would you like to stay at Fond Doux Plantation & Resort? Cottage has an open floor plan. A full breakfast is available in the room price. 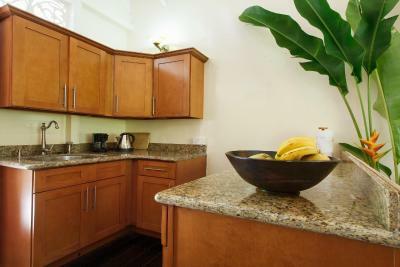 Features private bedrooms, 2 bathrooms, a separate living room with a dining area and full kitchen. A full breakfast is included in the room price. 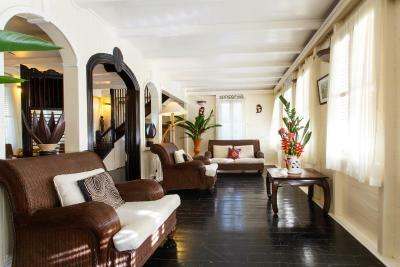 This double room has a garden view, sofa and seating area. 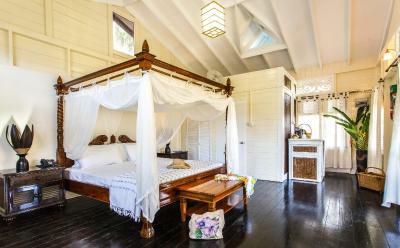 House Rules Fond Doux Plantation & Resort takes special requests – add in the next step! Fond Doux Plantation &amp; Resort accepts these cards and reserves the right to temporarily hold an amount prior to arrival. Fond Doux Plantation & Resort accepts these cards and reserves the right to temporarily hold an amount prior to arrival. Upon check-in, photo identification and credit card are required. All special requests are subject to availability upon check-in. Special requests cannot be guaranteed and additional charges may apply. 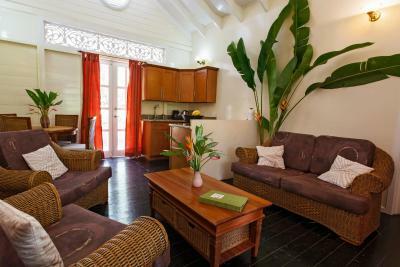 Please inform Fond Doux Holiday Plantation of arrival method and time prior to arrival date. The shared toilets were disgusting and not welll maintained at all. The hotel itself looked like it was a hotel with a beach, but no it’s “near” a beach and you have to get a bus there. 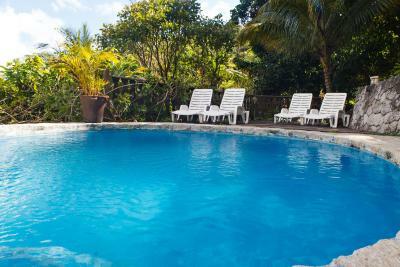 The “pool” is really a large bathtub and the NOISE of the frogs, cicadas and other mating jungle animals at night was untenable. The staff were great but it was all very basic - the food, the room, everything. I hoped to stay for one night and get some rest before a long night flight to the UK and now I have worse exhaustion than if I had just stayed on at our regular hotel. It’s a shame, it does look good on the Booking.com website but I would never return, not for one night and for more, I would advise anyone to shop around carefully for a better deal. Not much. The strawberry shortcake was delectable. Limited dinner choices. We didn't realise only one of the restaurants were open for dinner. Food we had though was lovely. Staff were really welcoming. Our cottage was fab- amazing to feel like your living in the forest! Really nice and private. 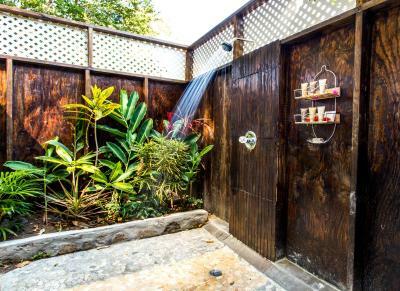 Loved the outdoor shower! Wi-Fi was also very good. Unfortunately, the staff is not half as efficient as they are friendly. But probably we busy people can also learn from their “no problem-attitude”! Settings, nature and friendly staff. Amazing dinner and live music. Very entertaining. Would definitely come back! 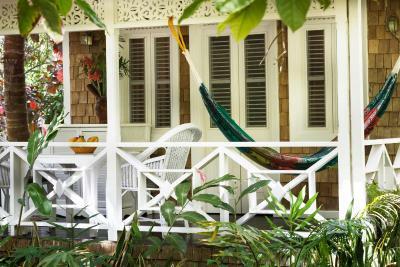 We had a fantastic breakfast every morning with local foods at this immaculate heritage property. Staff is amazing--friendly, authentic, professional--and the owners are on site and happy to interact. 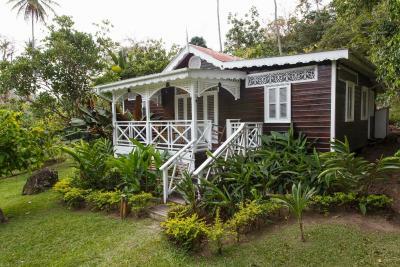 The grounds (a working 250 year old chocolate plantation at the foot of Tet Paul hike) are wonderfully lush and private. 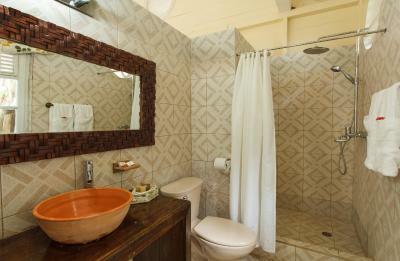 We stayed in a delightful cottage that was secluded and relaxing. 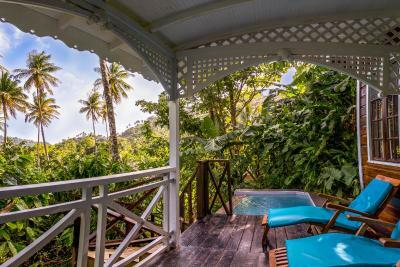 Plenty of privacy, easy to get to all the places near Soufriere, Sulphur Springs, Gros Piton, and Jade Mountain beach, without the obnoxious instagram crowd found at the other places. Take the free Plantation Tour, it is totally worth an hour. Do rent a car and explore this beautiful island--you won't be sorry! There was nothing I didn't like although there could've been alternative times for the shuttle to the beach other than one set time in the morning. Staff were very friendly and always accommodating. Location was perfect, food was amazing although I would've preferred more St Lucian options for dinner. An absolutely fantastic experience! One for the memory! Have you ever tried to live in a rainforest - or a botanic garden? Try Fond Doux... 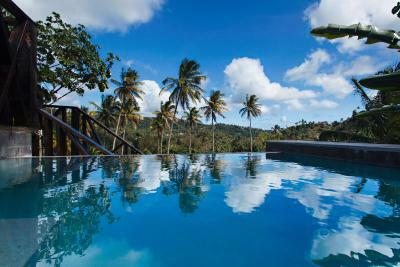 The surroundings - in the middle of a working plantation - is second-to-none. 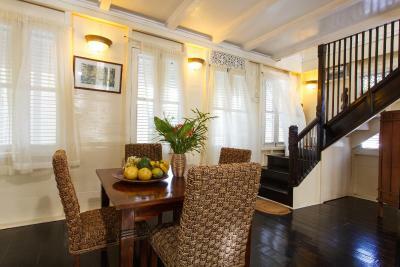 Very charming and comfortable cottages. All different with their own individual characteristics. Nice and relaxing pool area. Very good restaurant. Excellent breakfast with lots of exotic fruits. But the best of it all: Excellent staff. I need to thank Alex (Bartender), Joel and Joshue (waiters), Kayma (front desk), MJ (driver), Shyne (tour guide), Marius (clerk), Leyton and Eroline (owners) - and all the others. We will miss you. 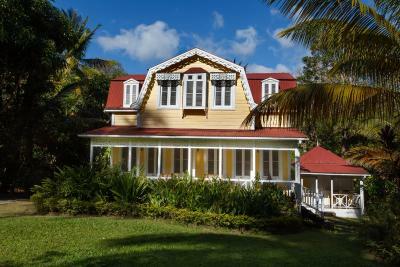 It is a beautiful property in the forests behind the Pitons. There are a number of nice walks through the gardens and up to a look-out (and an interesting tour of the plantation which was included). Our room was secluded with a lovely private balcony. Restaurant was excellent and all of the staff were v friendly. Sadly the whole place needs quite a bit of work and doesn’t really have any of the luxury or design features you’d expect at this price range. 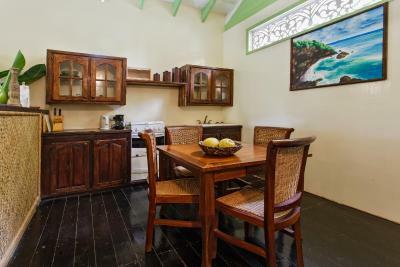 I’d say it’s significantly over priced compared to the 3 other places we stayed at in St Lucia. The view was amazing from our mango cottage. The staff are all very friendly and cheery. We spent 30 days in the Carribean sailing from Grenada to Tortola, eating on different islands in many restaurants and resorts. 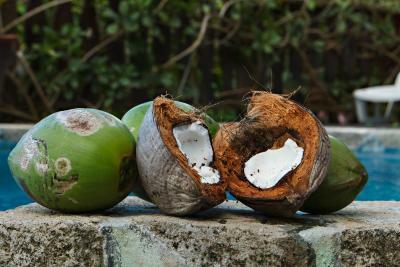 We spent 10 days in St. Lucia, in 3 different locations North to South around the island. In addition, we had a rental car and visited several other restaurants and locations every day. We booked the Treehouse for 4 nights on Fond Doux, probably the most expensive cottage on the property at around $US$400/night. The first impression driving in was that this place is in direstraight need of upkeeping and maintenance. There are things broken everywhere you go or quickly put together in a way it makes it look worse. We are aware that in this climate things fall apart quickly and need constant/daily up keeping, but is definitely not done here, and we didn't see anyone working on maintenance during my stay. Driving into the property one sees instantly that the place is neglected and run down. Literally everywhere you look, you see splattered paint, broken pieces of wood quickly assembled but not properly. Pieces of boards are put in the floor at the pool,but not stained. The railings up to the Tree house are close to breaking due to rot. Places where things are stored and assembled are visible everywhere and it looks super messy. Fond Doux might have been pretty once, 10 years ago, when newly built, but this place is in decay now!!!! It's sad. 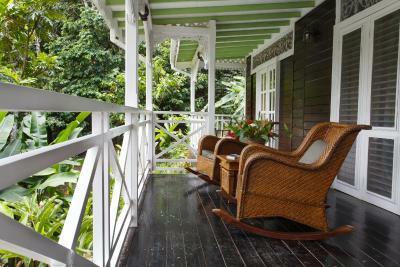 Our cottage had a beautiful setting overlooking the jungle/plantation garden. We wished we could have enjoyed it more if everthing hadn't been in such direstraight need of repair and maintenance. Things were loose, windows didn’t close et in the cottage. Again color splashes everywhere. Staff in street cloth runs around the property and you never know who is who. Breakfast is mediocre and served in old containers. Everything is sticky and does not look clean or appetizing. Nothing!Staff in street cloth runs around the property and you never know who is who. Breakfast is mediocre and served in old containers. Everything is sticky and does not look clean or appetizing. Breakfast staff are helping themselves to breakfast everyday we ate there...to coffee, juice, hot cakes, while guests are eating as well. On our last morning one of the girls took a hot cake out of the container and poured syrup over it into her hand. We couldn't believe it, but by then nothing shocked us anymore. During dinner at the Bamboo restaurant I wasn't asked how i wanted my steak. There was no knife served for cutting the steak. Our salads came without dressing. Needless to say that we left the restaurant as quickly as possible bc the food was average at best. But to top it all off, on our way out we saw the waitress leaving the kitchen with a bread basket, chewing the bread and then throwing it into the bushes.. while walking to the tables in the restaurant. It appears the staff are running the show on the property, and they definitely enjoying their rule free life there. We asked to talk to the manager on our second day. We ended up talking to the owners who however would not introduce themselves as such. We found out from the plantation guide after. We respectfully voiced our concerns and Lytton listened and seemed deeply concerned however his wife Eroline just chattered and was unable to even listen. The couple was abroad a few days later and without anyone handling affairs this place will sadly continue to go downhill. We had our own car and spent 9 nights on St. Lucia staying anywhere from at Bay Gardens Hotel in Rodney Bay to Balenbouche Estate. Both propeties offered amazing quality and customer service in every aspect. Iam aware that this climate offers challenges in terms if upkeep. But it seems to be possible everywhere else on the island. Swimming pools were small. A larger pool to allow you to swim would have been better. Great staff very friendly and helpful. Truely great location and accommodation.